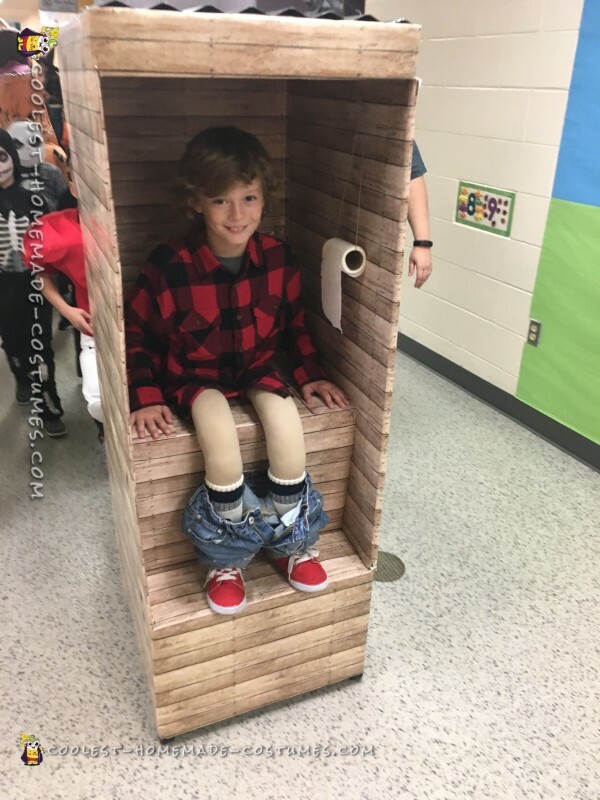 My son loves a reaction at Halloween and this toilet costume, or out-house costume will get you one! 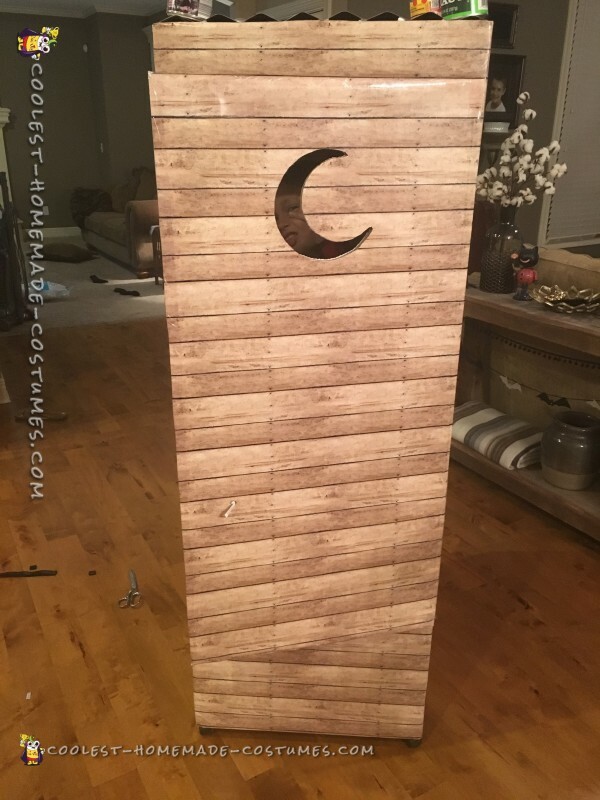 This is a wardrobe box from U-haul with 1 x 1 reinforcements inside on the top, middle and bottom, secured with nuts, washers, and bolts. I wrapped it all with photo booth paper I purchased at Hobby Lobby. You could paint it as well. I screwed and glued wheels into the reinforced wood, added a piece of corrugated tin (be sure to tape off the sharp edges with tape). 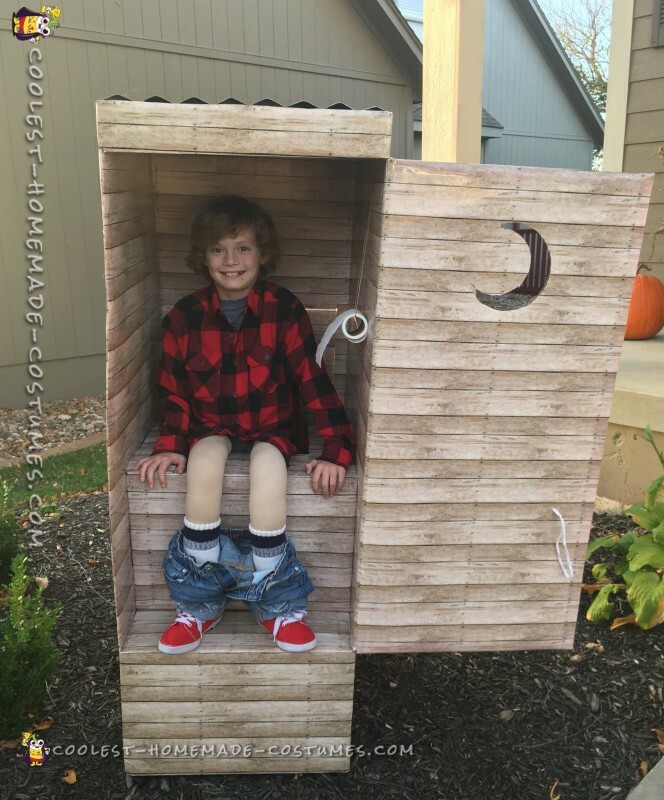 I then taped and glued a facade for the seat and secured to the wood, which is what my son used to push the box around. This works best on smoother floors, so it’s better for a parade than the actual trick-or-treating. I stuffed nylons with poly-fill and then stuffed them in footless tights, which offered a more flesh-like color. I glued the shoes down and dressed the legs. I secured the top of the nylons to the underside of the facade. Wore an oversized shirt which we pinned to the legs to cover the middle crotch area. Cut a door in the back and front. Used elastic and Velcro to secure. Boom. 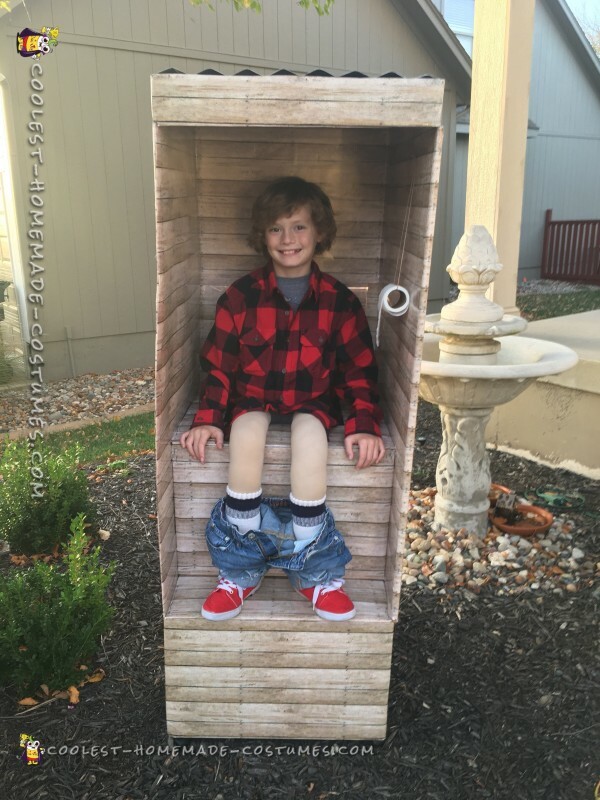 My son wore an oversized shirt which we pinned to the legs to cover the middle crotch area. We cut a door in the back and front. Used elastic and Velcro to secure. Boom.